We are Christian Women Affiliating; connected for a higher purpose and committed to a common calling of glorifying God in words and action. What if every thought is a seedling from our Heavenly Father, our one true muse, pointing us to something we need to know? Let’s embrace the freedom to wonder, take the invitation to explore and learn everything He has to teach us in this amazing journey of life. Join author Andrea Boeshaar every Saturday at 8am CST as she explores unique events pertaining to the writing life. Hear guests' stories about life and how God was there in the midst of it all. Find out how many of her guests' experiences ended up in print--or they prove valuable research for authors and history buffs. Be ... See More here each Saturday morning and be inspired, encouraged, and amused as we Discover the Story. Highlights spiritual gifts described in the bible. Use your unique gift set in everyday service! Live boldly and fan the flame of God’s gift…in YOU! Join life strategist and leadership coach Nicole Kirksey for Giftings. This show ... See More highlights the spiritual gifts described in the Bible, and how believers can creatively and passionately use their unique gift set in everyday service to the Body of Christ. Nicole is a speaker, coach trainer, and the principle coach at Foundational Gifts Life and Leadership Coaching, www.coachnicole.com. From Behind The Veil with Tanyka Gilbert discusses the emotional, spiritual and relational issues women experience due to the effects of sexual and relational trauma (abuse, infidelity, addiction). 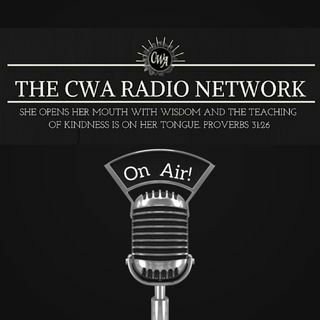 Using practical Biblical teaching and guest interviews, Tanyka shares how to apply the Word of God to your life and your situation. We ... See More invite you to obtain strength receive encouragement, and hear testimonies of others who have walked the healing journey, so you too can come from behind the veil of the guilt and shame associated with sexual and relational trauma.